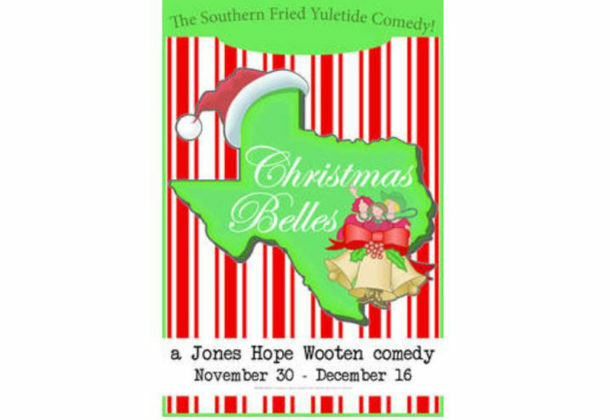 The Newtowne Players will present the well-known Jones Hope Wooten comedy “Christmas Belles” through Dec. 16, 2018, in celebration of the season. The performances are set for Thursday through Saturday at 8 pm, then Sunday matinees will be presented at 3:30 pm. Come and see “Christmas Belles” at the Three Notch Theatre at 21744 South Coral Drive in Lexington Park. Tickets for the show are $15 for adults; $12 for seniors, members of the military, and students; and $10 for children who are 12 years old and younger. On Thursdays only, all of the seats cost $10. Purchase your tickets on the Newtowne Players’ website, or by calling 301-737-5447. “Christmas Belles” is the story of Christmas-time in a small town called Fayro, Texas. The local church’s Christmas program spins hilariously out of control in the Southern farce that tells about squabbling sisters, secrets within a family, a surly Santa Claus, a vengeful sheep and a reluctant Elvis impersonator. The hilarious story of a holiday journey through Christmas Eve filled with misadventures is sure to bring joy to anyone’s world! The show will be directed by Beth Sanford with assistant director Jeff Maher. Producer is Robin Finnacom. If you’d like to receive updates on weather-related closings via text message, send the text NTPALERTS to 84483.